I’ve known the folks at Chromatic since before it was Chromatic and grew up with a few of them. They are changing the South Bay coffee game in huge ways. If you haven’t gone to their store to try some of the Gamut or their signature anniversary Unicorn Pony Blend (as rare as the real deal), now is a great time to get to know these folks as the grow into a mature industry staple. November marked their 3 year anniversary. 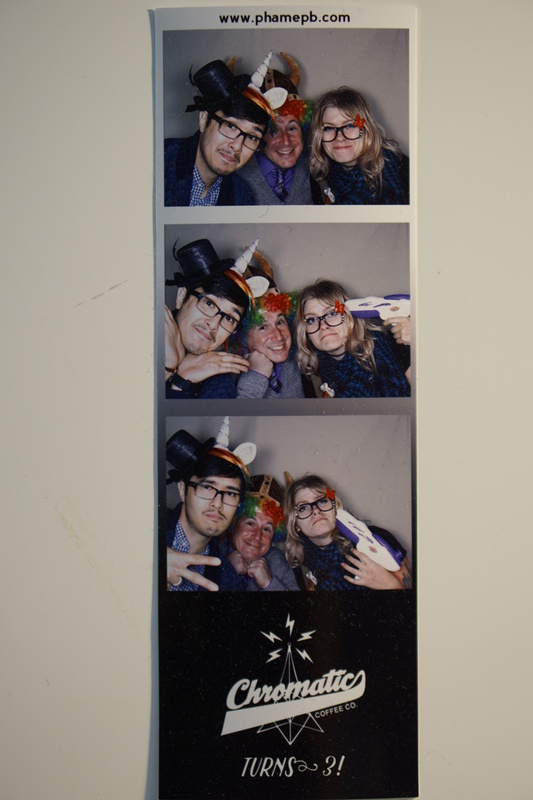 The Chromatic folks know how to have a good time. Fruity Pebble Latte with house made whip? It was actually quite excellent for what it was. Thank you for the invite, looking forward to number 4.